It seems that EMDR is fast becoming the treatment of choice for many people who have suffered recent accident or injury or have been involved in multiple traumatic events. You may have been told by a health professional to try EMDR therapy or perhaps you know someone that has had this treatment and recommended it to you. According to EMDR Europe and the EMDR Association UK and Ireland: EMDR is an acronym for 'Eye Movement Desensitisation and Reprocessing'. EMDR is a powerful psychological treatment method that was developed by an American clinical psychologist, Dr Francine Shapiro, in the 1980s. As a Senior Research Fellow at the Mental Research Institute, she published the first research data to support the benefits of the therapy in 1989. Since then a wealth of research has been conducted demonstrating EMDR's benefits in treating psychological trauma arising from experiences as diverse as war related experiences, childhood sexual and/or physical abuse or neglect, natural disaster, assault, surgical trauma, road traffic accidents and workplace accidents. Since its original development, EMDR is also increasingly used to help individuals with other issues (such as performance anxiety, self-esteem issues, phobias, and other trauma related anxiety disorders). EMDR therapy is a scientifically supported treatment for PTSD recommended by numerous organisations internationally (e.g., World Health Organisation, 2013). It is characterised by standardised procedures and protocols that include a bilateral sensorial stimulation such as repeated eye movements, aimed at processing and working through memories of trauma and other adverse life experiences. EMDR utilises the natural healing ability of the brain and allows it to heal psychological problems at the same rate as the rest of the body heals physical wounds. Because EMDR allows the mind and body to heal at the same rate, treatment can be rapid. The number of sessions required for EMDR treatment, however, will vary according to the complexity of the issues being dealt with. In general, the more isolated the traumatic memory being treated, the shorter the treatment tends to be [...] EMDR is not a form of hypnotism. Even though you are moving your eyes during EMDR you will remain conscious AND in control at all times. EMDR cannot be done against your will. I am an EMDR therapist and a member of the EMDR Association UK and Ireland. I completed the full EMDR part 1-4 training with EMDR Works, London in 2014 and receive clinical supervision from a fully trained and experienced therapist. I can provide EMDR sessions for adults either as the main therapy or as part of an 'integrative' approach using other psychological therapies in addition, depending on what is right for you. If you would like to find out more about how EMDR could make a difference to you, then feel free to get in contact with me to talk about your needs and what would be an affordable and workable assessment and treatment approach for you. There is no obligation to go on to book an initial meeting, but if you want to do this we would discuss a suitable time, day and venue for this, we would agree the cost of assessment and I would send you some additional key information about psychological therapy. The aim of an initial appointment is to talk about any difficulties you are having, how they affect you, how they developed and find out more about you as a person, how you want to live and what you want to achieve. We will work to understand your difficulties and situation and think about ways forward that suit you as a person and your situation. We will consider what type of therapy would best match this and if this is not something I can provide then I can make some suggestions as to your next steps or other suitable therapists. If you want to bring someone with you to accompany you to the session then that is fine. You can find out more about what therapy will be like on my 'what to expect' page here. If you want to arrange an appointment, you can call, email or use the enquiry form on the contact page. If you are unsure whether psychological therapy would be right for you or there are things you want to clarify feel free to get in touch to discuss this. 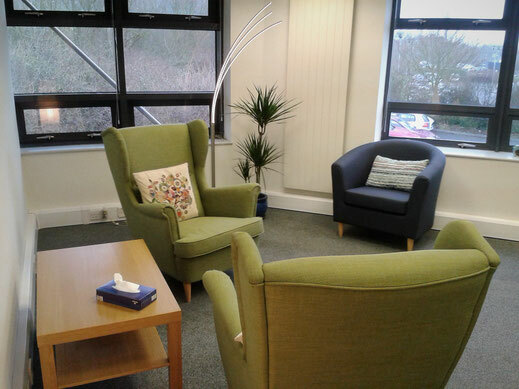 Regular sessions are offered at the Folkestone Enterprise Centre / Basepoint in Folkestone. If you have particular difficulties traveling, then it may be possible for us to find a regular meeting room nearer to you, for the duration of your treatment. I also offer home visits in certain circumstances. Feel free to contact me to discuss the possibilities but note, there may be associated travel costs depending on the distance from my regular clinic site. Assessments and meetings can be booked on Mondays, Wednesdays and Fridays 9.00- 17.30. Folkestone Basepoint Business Centre has parking facilities and on street parking and is accessible for wheelchair users. There is a reception and waiting area available and there are cafe facilities on site. It is close to J13 of the M20 so easy to reach from Folkestone, Hythe, Dover, Deal, Ashford, Canterbury or Thanet by car.